But perhaps Abu Taleb, a philosophy graduate, uses Said as a vehicle to meditate on an idea with which the Arab world is wrestling. Said is a seemingly successful advertising executive able to realise his material aspirations unlike many of the characters in the novel. At the weekend he dates a beautiful surgeon’s daughter, Dina, swigging his whiskey whilst charming his future mother-in-law. And yet Said’s past comes to the fore in spite of his middle-class respectability. Being half Circassian, half Palestinian, he feels the contrast between his genteel life and the martial past of his ancestors. His ancestors fought against the Russians for home and hearth in the Caucasus mountains till they ran out of bullets and escaped to Jordan; there they fought the Israeli incursions in Jordan. But what does Said do? He fights for an advertising contract and the loosening of his colleague’s bra. For in the ring, it is man to man, not jets against infantry or Kalashnikovs against knives. It is a return to first principles. Everyone is equal. No one can beat a smart boxer after all. Every mistake is one’s own. In fact, both Oates and Abu Taleb recognise that there is something almost spiritual about the art. For the pugilist must look within himself to draw strength when he steps into the ring. The fight is framed within time and a knockout is outside that frame, it is a form of death. And so life and death are played out. There are echoes of Shakespeare’s poor player who struts and frets for an hour on the stage and Hemingway’s bullfighter in Death in the Afternoon. When a boxer’s training kicks in, he can see the very matrix from which the punches emerge. His mind, body and heart have achieved a unity that the novel likens to the Sufi Fanā or the Buddhist’s Nirvana. 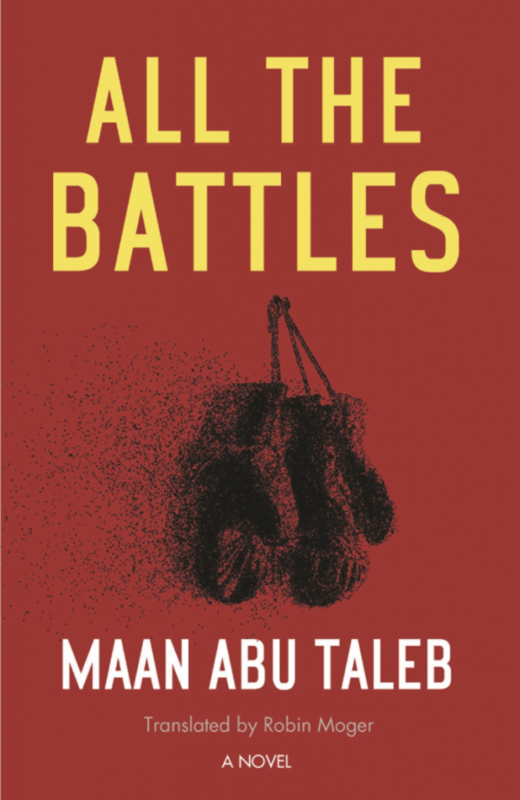 Abu Taleb’s All The Battles is a riveting rumination of what it means to be a man in the chaos of the Middle East. It will no doubt strike a chord with the many rather than the few interested in the struggles of the region. It would not surprise me if it was turned into a film, in fact. This review was first posted in Youssef Rakha’s Sultan’s Seal here. Previous Previous post: Into the Heart of Darkness: Working Notes on Three ISIS Jihadists.